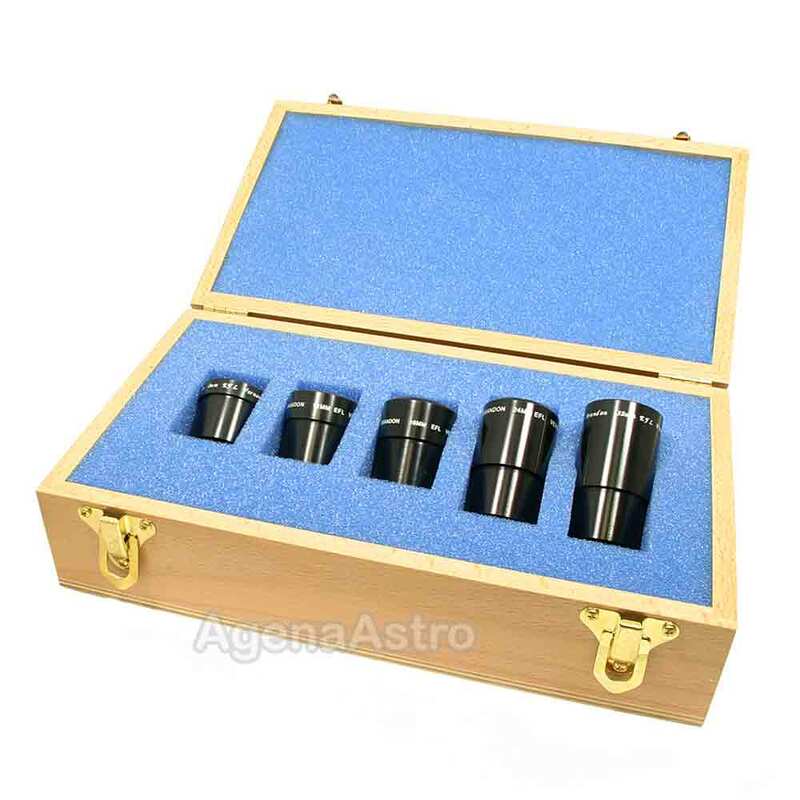 Brandon 1.25" 5 Eyepiece Set with Birch Hardwood Case (8, 12, 16, 24, & 32mm). This set includes the eyepieces with the flat top. Please note that since this set includes the wooden case, no Agena bolt cases (eyepiece containers) are included.